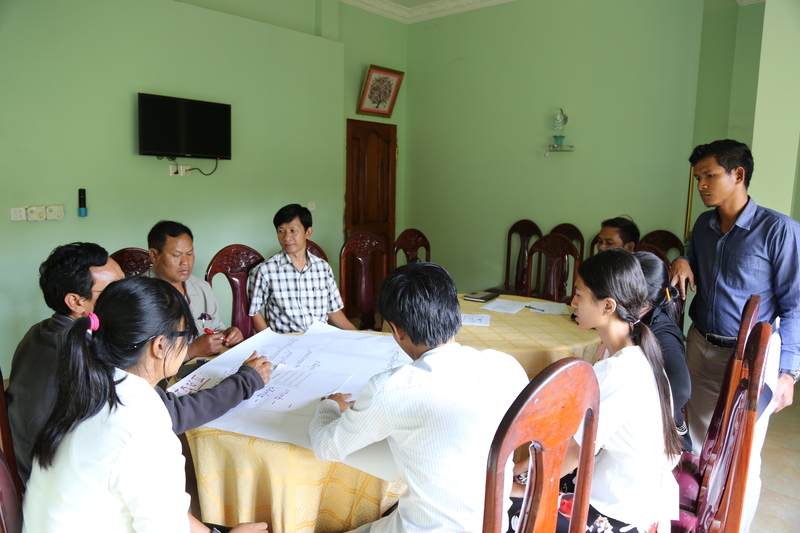 WWF-Cambodia in collaboration with the Mondulkiri Provincial Government organized the Provincial Spatial Planning process, aimed at developing landscape in a sustainable fashion. Making it the first ever Spatial Planning process that has a clear focus on protecting the Environment, Protected Areas, and Biodiversity Corridors in the province. Organizing this workshop is a part of WWF-Cambodia’s ‘Sustaining Biodiversity, Environmental and Social benefits in the Protected Area of the EPL’ project, funded by the European Union. The provincial spatial planning (PSP) will be a fully participatory process that will bring together all relevant stakeholders to agree upon a development vision for the province for the next 20 years. 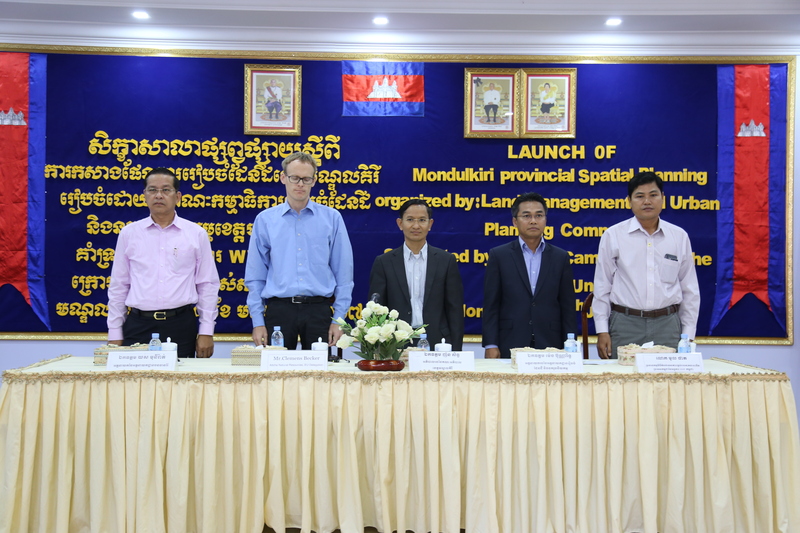 Spatial plans have been developed in 2 provinces (Battambang, Preah Sihanouk province) and are under development in 2 others (Takeo and Kampoung Chhnang). 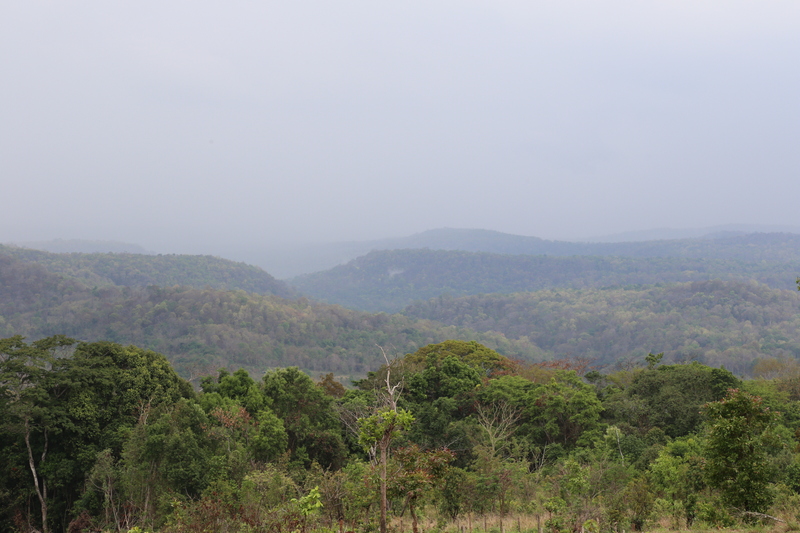 Mondulkiri will be the 5th province in the country, but the first to have a strong and dedicated focus on environmental protection. The provincial spatial planning will be implemented based on the spatial planning guideline and policy of the Ministry of Land Management, Urban Planning and Construction and based on these guidelines it should take two years to be developed and approved by the Government. 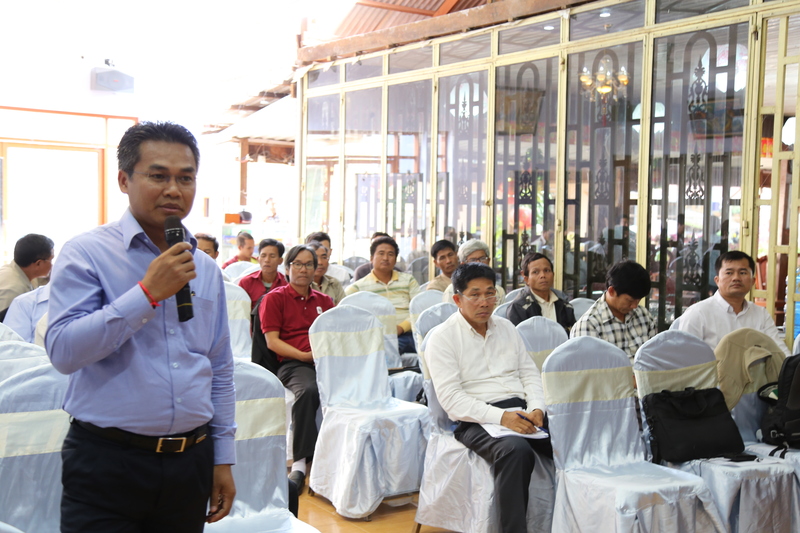 Experience and lessons learned from provinces like Battambang and Takeo will be integrated. The Provincial Government of Mondulkiri is currently planning a study tour in Battambang to learn more from their experience. In the past, no coordinated land-use planning has been comprehensively developed. This has led to many ELC, mining concessions and other concessions to be granted, very often inside protected areas, without environmental assessment or more importantly without assessment of the cumulative impacts that all these different land use will have on the Natural Capital of the province. This has caused several land disputes and can potentially lead to the destruction of the ecologic integrity of the Eastern Plan Landscape of Cambodia. This PSP aims to be an Ecosystem-Services based plan that will be developed through a rigorous Strategic Environmental Assessment (SEA). This means that ecosystem services will be mapped, economically valued and mainstreamed into the PSP. The development strategies that will be developed will therefore be based on trade-off assessments and the result should aim at balancing economic development of the Province while at the same time ensuring that the Environment, Protected Areas and biodiversity corridors will be protected. 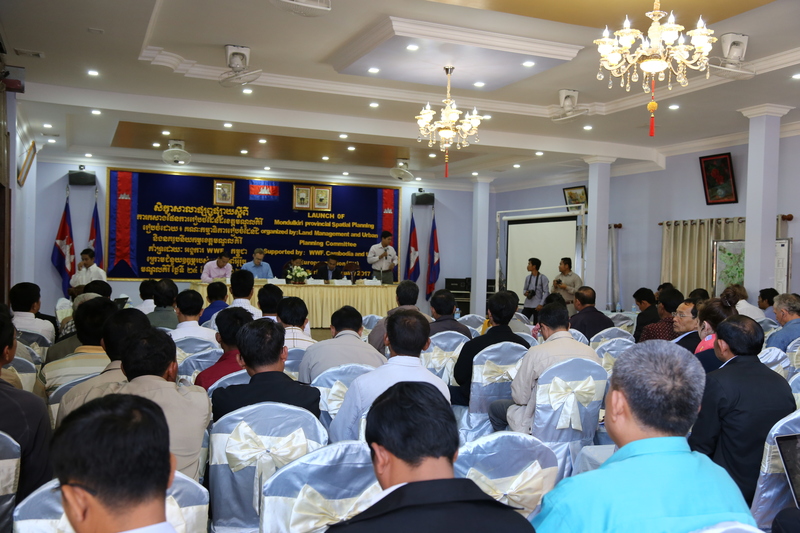 The specificity of the initiative is that it is based on a full ownership of the process by the Mondulkiri Provincial Government and benefits from the full support of the Ministry of Land Management, Urban Planning and Construction that will back-stop the process to ensure alignment with national initiatives. By being completely transparent and participatory it should enable the adoption of a plan that will be implementable at the local level. This is the first Spatial Planning process that has a clear focus on protecting the Province’s Natural Capital and is doing so by bringing together actors that normally do not work with each other. Socfin Cambodia is one of the few rubber companies that has committed to a zero deforestation supply chain and to its implementation. WWF has been supporting this commitment and is now waiting for a concrete implementation plan. In this context, WWFs’ role is to provide advisory support in interventions that are normally not part of "standard" work of rubber companies. This would for instance include technical support when producing High Carbon Stock (HCS) and High Conservation Value (HCV) mappings to ensure that HCV forests are protected from future conversion. Since the beginning of its activities in 2008, SOCFIN in Cambodia has always considered fundamental to minimize and mitigate its impact on the environment it works in. From the establishment of the plantations to the current cultivation, the company always strived to implement environmental best practices by – among other actions - developing its plantations following biodiversity assessments conducted by third parties, preserving biodiversity corridors, or protecting indigenous forests and cemeteries. As stated in the Zero Deforestation Commitment, SOCFIN in Cambodia is also committed to reduce its ecological footprint, by minimizing the emission of greenhouse gases and improving the yield of its plantations. This commitment follows the guidelines and definitions from respected institutions such as the FAO, the HCS Approach Steering Group and the HCV Resource Network. WWF-Cambodia is accompanying Socfin in this journey and monitoring this commitment with the financial support from the European Union (EU). This is part of the 1.77 million Euros project “Sustaining biodiversity, environmental and social benefits in the Eastern Plain Landscape of Cambodia” that aims at encouraging the private sector to commit to sustainable management and to contribute to financing the long-term management of the landscape’s protected areas.